Louise and Danie joined us for dinner last night at Kambaku, the popular restaurant at the golf course in Komatipoort, as we celebrated their belated birthdays. A troop of baboons on the road in Kruger National Park. Last night, to celebrate Louise and Danie's belated birthdays, only days apart, we were finally able to get together for dinner at Kambuku Golf Course in Komatipoort for a leisurely happy hour and dinner. We didn't mean to wear matching BugsAway shirts but it just worked out that way. The view of the Crocodile River at dusk from the veranda at Kambaku. Add plenty of laughter and stories to tell among the four of us, being with them results in one memorable experience after another. How did we get so lucky to have such fine friends in Marloth Park? Lisa's rescue bushbabies are doing well living in her closet. Soon, all but one who is permanently disabled will be able to return to the wild. This little one was hanging onto the door hinge as I took this photo. At Kambaku, the corkage fee is ZAR 85 (US $6.40) for bringing in the bottle of wine. It's so worth it to me to avoid the effects red wine can have on me after not having any alcohol for over 20 years. This way, I can have a few glasses with no ill effects. Their huge eyes allow them to see in the dark. From this site: "Bushbabies are also known as galagos, bush babies are small primates that live in Africa and have thick fur, long tails, big ears and huge, round eyes. They get their name because of the loud noises they sometimes make that sound like crying, shrieking babies." My wine of choice is Four Cousins Skinny Red, a brand produced in South Africa for which I've acquired a taste. Sure, I like the taste of other dry red wines but health is always of my utmost concern. The dinner was good, the evening spectacular. The three of us had tasty chicken dishes while Tom has the ribs and we were all satisfied with our fresh and well-prepared meals. This was the first time since our arrival over five months ago that we dined outside of Marloth Park where we've enjoyed dining and supporting the local establishments. At night, the healthier of the bushbabies head out of Lisa's bedroom window to explore the nighttime world, preparing them for eventual release. They return early each morning to sit on Lisa's head while she's sleeping. This is often the case for locals who prefer not to drive at night on the unlit roads to Komatipoort. Generally, it is safe to do so but from time to time we hear about "incidences" prompting a degree of concern. By 10:00 pm we were all seating at the big table on our veranda, enjoying the last minutes of our enjoyable evening together. Of course, we look forward to many more such evenings with the two of them during our remaining seven months in Marloth Park. Lisa generously allows the little creature to sleep in her closet. Nocturnal animals the sleep during daylight hours. On Thursday evening, Tom dropped me off a Lisa's home to engage in a little "girl time" with her and Deidre both from Wild & Free Wildlife Rehailitation. As it turned out, our fun get-together was more about wildlife and the joys we all experience living in this special environment than general "girl" chitchat. But now, living this life, there's no conversation more appealing than sharing our personal stories of life in the bush. Plus, the dedication these special women have to caring for rescued animals is beyond reproach. Could these faces be any cuter? Lisa, from Wild & Free, devotes a tremendous amount of attention, love and devotion in caring for rescued bushbabies, always with the intent of releasing them into the wild as soon as they are able. Earlier, in February, we'd done a story with photos about the bushbabies which may be found here and later, in June we prepared two post about Deidre's rescue center in Hectorspruit in this post and this second post. Later on, Tom picked me up, visited with Lisa and Deidre for a few minutes and we were on our way back to our veranda and the upcoming evening's activities. Due to the number of tourists in the park, the visitor visits have lessened considerably. This morning, other than a few birds, the only visitors were a number of a gangly baboons trying to eat the seeds out of our birdfeeder. Subsequently, Tom took it down since we're leaving soon to attend the Marloth Park CPF Fireman's Fundraiser and drive around the park. Lions were sighted this morning. Off we go! 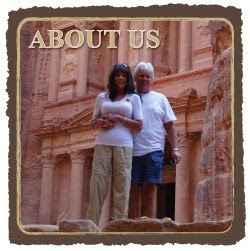 'One year ago today our story was published in the Chanhassen Villager newspaper in Minnesota about our world travels. For the full story, please click here.